I had to break into some of my market fabric and FAST! Zen Chic's new line is due out in April 2015. You can sign up to be notified when it hits your favorite online quilt store here. It's got great boy colors. I'm using it for a wall hanging in our theatre. It's got a fun film theme, with tv's (the old fashion kind), reels, film, and credits. I love the contrast in the colors and shapes. It is really interesting to see this made up. 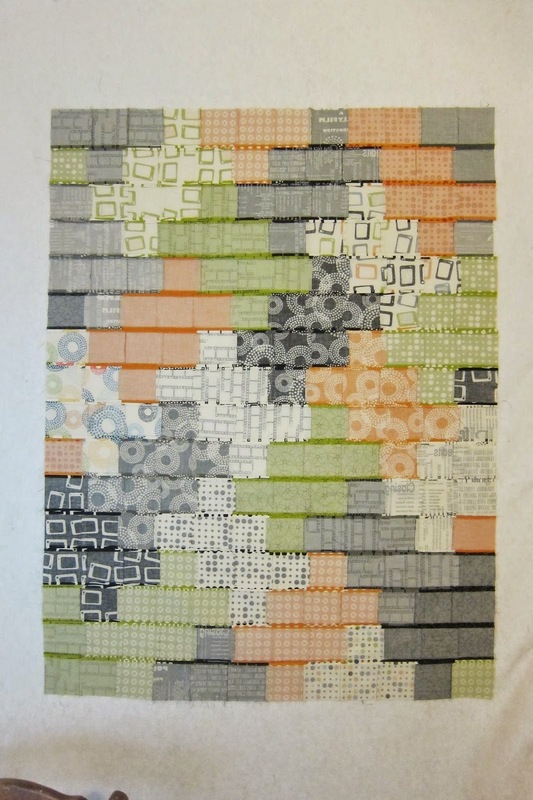 The line is quite similar in colours to Juggling Summer by Zen Chic. I fell in love with the strong tones/prints and bought it for a Japanese +X quilt class I am taking next month but I was losing faith that I could get it to work. I think I'll buy some black and white fabric like you have used. Some great fabrics here - nice to get a sneak peek, thanks. Oh, yes! Those are some great prints and colours. Love the plus design. This is going to be fabulous and look lovely hanging in your theater! 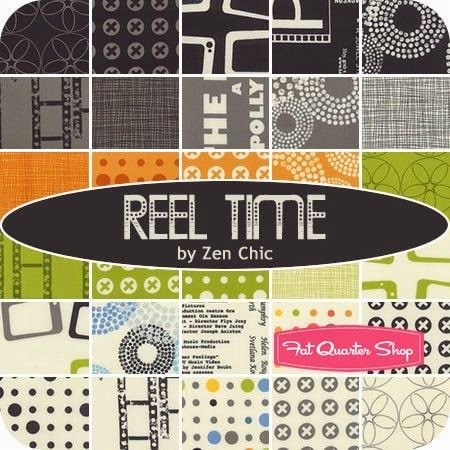 Very nice--aren't you lucky to have access to zen chic ahead of time! Great colors and a neat design. They look a little like knots. I knew the moment I saw this fabric that I must make a quilt out of it for my son, the film critic. I love Zen Chic colors. Comma is still one of my favorites. Love what you've done with this new collection! I must have Halloween on the brain because these colour choices looked very seasonal to me! Love how it's coming together!